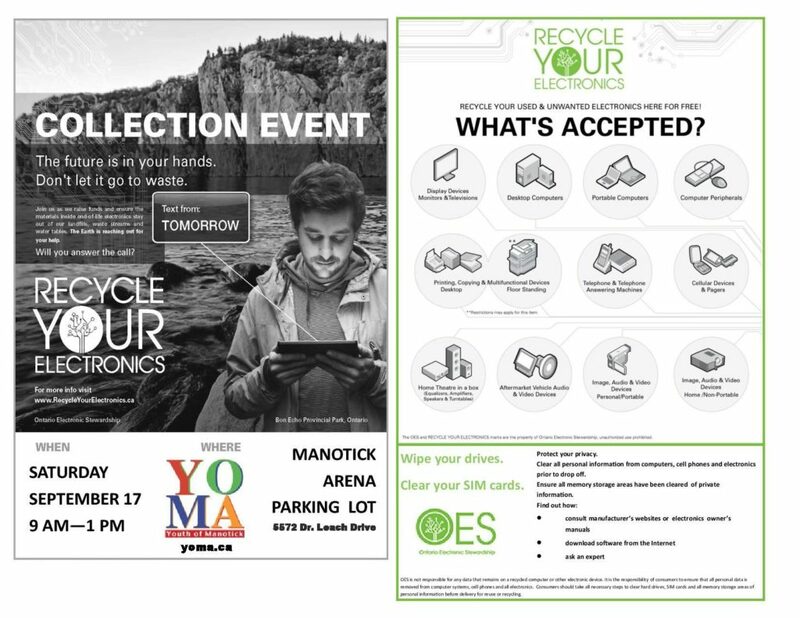 Collect your used and unwanted electronics and bring them to the Manotick Arena Parking Lot on Saturday, September 17. Clear the clutter in your home and support Youth of Manotick Association. See the OES website for a list of items accepted and not accepted.